It is common that the pendulum of economic development scholarship and practice swings back and forth from one set of (faddish) ideas to another. But beneath this back-and-forth cycling is another, longer cycle the tension between a search for grand, seemingly scientifically-grounded solutions, and an approach to problem-solving which self-consciously is more pragmatic and incremental. In recent decades, this long-cycle pendulum has swung powerfully in the direction of scientism. There are, though, some striking signs that it may be swinging back. In time this bold, but open-minded quest for insight congealed into something very different: the sequential embrace of one ‘magic bullet’ after another as the solution to development’s challenges – each advocated enthusiastically by its champions, only to be superseded by a new generation of very different and ever-more-ambitious certainties. First came a pre-occupation with increasing capital investment (the focus of development efforts into the latter 1970s). Limited results led to a turn to economics, and an insistence that results depended on ‘getting incentives right’ via structural adjustment policies. The 1990s witnessed the emergence of an even more ambitious agenda, with an insistence that far-reaching institutional reform—get ‘good governance’ right—was necessary for development. The past decade has been characterized by a pre-occupation with quantitative, results-based approaches—most vividly evident in the enthusiastic embrace of randomized control trials as a way of identifying what works, and by Jim Kim’s assertion, within months of becoming World Bank president, that the organization needed not just to support what works, but to embrace “the science of delivery”. 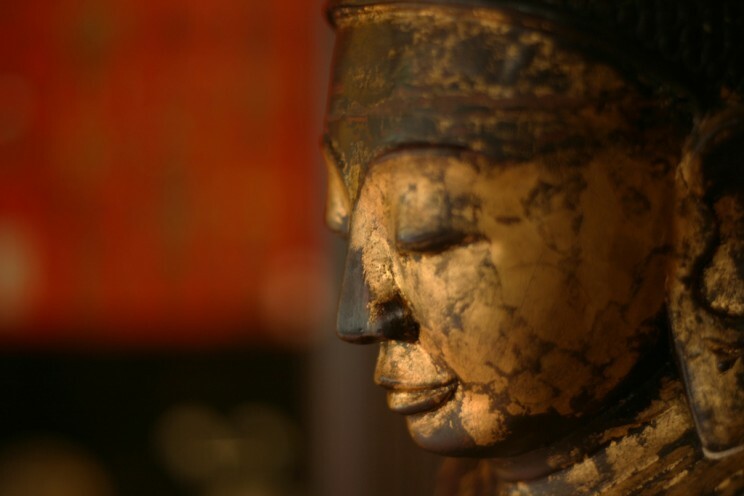 Antique wooden Buddha. Photo by Brian Jeffery Beggerly. CC BY 2.0 via beggs Flickr. An insistence that the appropriate point of departure for understanding and influencing development is to explore the way things actually are on the ground, rather than superimposing some normative ‘best practice’ vision of how they should be. The use of ‘good fit’ orienting frameworks as guides for helping to identify a variety of distinctive trajectories of change—each with distinctive patterns of incentive and constraint, and thus distinctive entry points for seeking to nudge change forward. A focus on working to solve very specific development problems—moving away from a pre-occupation with longer-term reforms of broader systems and processes, where results are long in coming and hard to discern. An emphasis on ongoing learning—in recognition that no ‘good fit’ blueprint can adequately capture the complex reality of a specific setting, and thus that implementation must inevitably involve a process of iterative adaptation. The “Doing Development Differently” manifesto is thus a profound departure from recent practice. But many of its protagonists (myself included) also take inspiration from the earlier generation of scholars. Indeed, against the backdrop of the current discourse, the sly irony with which Yale Professor Charles Lindblom entitled his classic 1959 article, “The Science of ‘Muddling Through’,” takes on an especially contemporary flavor. Brian Levy is currently on the faculties of the School of Advanced International Studies, Johns Hopkins University and University of Cape Town. 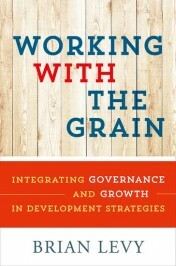 He is the author of Working with the Grain: Integrating Governance and Growth in Development Strategies (2014). Very sensible piece and a useful reminder that, while the ideas comprising the Doing Development Differently manifesto are both needed and laudable, they are not, for the most part, new. Similar ideas were put forward not only in the 1950s (as in your examples) but also in the 1980s — for example, Dennis Rondinelli’s wonderful book Development Projects as Policy Experiments was 1st published in 1983.